The Commercial Loan Specialist II is responsible for a broad range of activities related to business loan services from point of loan approval through processing, closing and servicing after loan is funded to post close transactions and reviews. The Commercial Loan Specialist II will be responsible for transaction research, minimizing organizational risk, modifying loan terms and leveraging their experience and judgment throughout the loan processing. Responsible for minimizing organizational risk and loss by reviewing loan and business structure to determine appropriate organizational documentation of Trust's, LLC's, PC's and Corporate entity structures and vendor reports based on property type and report findings, review documents and determine required documents and/or endorsements. Reports and documents to include: title reports, title endorsements, insurance certificates and insurance endorsement and FEMA flood certificates. Create, organize and audit assigned imaged and paper commercial loan files. Prepares business loan documentation using Laser Pro software or Attorney Prepared documents based on policy and communicate with outside legal counsel and Management on document verbiage modification requests from borrower's legal counsel. Responsible for researching any transaction posted in FICS Commercial Servicer in addition to processing commercial loan payments, business deposits, commercial line of credit draw requests and commercial loan payoffs utilizing the Keystone system, FICS Commercial Servicer system and Great Plains accounting system for each transaction. Manage borrower relationship for the purpose of meeting their lending needs such as researching commercial loan transactions, resolving borrower disputes, waiving and refund fees, executing billing and interest adjustments, and determining, updating and modifying loan terms using independent judgment. Manage relationships with Attorneys, Management Companies, Qualified Intermediary Exchange Companies, Association entities, Brokers, Agents and Title Companies for transaction imposed deadlines. Responsible for coordinating and facilitating loan closing to meet required tax deadlines for specialized loan programs. Complete and audit commercial loan funding, booking accuracy and collateral perfection for files assigned to own pipeline and peers; Executes billing procedures and audit statements prior to release. Communicate with borrowers during the processing of loans to obtain outstanding conditions i.e. financial documentation, tenant leases, loan application package documents etc. and review for thoroughness and accuracy. Complete, document and audit advanced GL transactions and balance GL accounts within the Great Plains accounting system. High school Diploma, required; Bachelor's Degree Preferred. 5 years of experience in commercial lending documentation preparation and processing experience.  Consumer/Real Estate Loan Servicing, required. Strong written and verbal communication skills, presentation skills, planning skills problem solving and organizational skills. Knowledge of real estate and commercial lending laws and regulations pertaining to business loans. Attention to detail, with the ability to work independently. Microsoft Outlook Contact Management systems; software; Design software; Microsoft Excel Spreadsheet software and Microsoft Word Processing software. Experience using Laser Pro Commercial Loan Documentation software.